One lucky winner will win a pair of Meet and Greet tickets for the former Liverpool left-back’s London show on Friday August 5th in our free-to-enter competition. 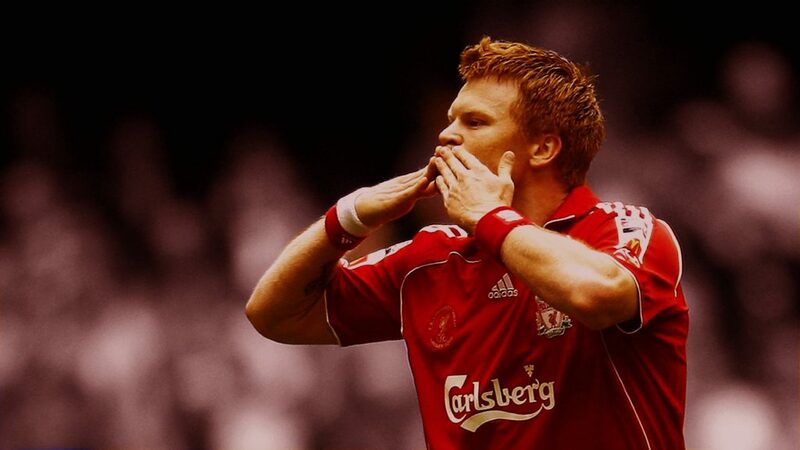 Former Reds defender John Arne Riise is in London on the eve of LFC’s clash with Barcelona at Wembley and you could meet him, get his autograph and have your photo taken with him. Enter our competition in association with 5Times to be in with a chance. JAR was signed by Gerard Houllier in the summer of 2001 and would go on to make 348 appearances for the Reds, scoring 31 times. Although predominantly used as a left-back during his time at Anfield he was well loved by fans because of some of his phenomenal goals in big matches. The song the fans sang for him reflected his eye for a cracking goal. He won the Charity Shield and the European Super Cup in his first month playing for the club in 2001 and won them again in 2006 and 2005 respectively. He’s won both the domestic English cups – the League Cup in 2003 and the FA Cup in 2006 – and of course was part of that famous night in 2005, the year he was in the Rafa Benitez side that won the Champions League in Istanbul against all odds. He left Anfield in 2008, moving to Italy for a spell at Roma before a return to the Premier League with Fulham in 2011. He eventually ended his career back where it started, at Norwegian side Aalesund. Riise has made it clear at previous events just how proud he is to be part of LFC’s history and there is no doubt at all that he remains a huge fan of the Reds. If you want to shake his hand and ask him face-to-face how it felt to play such a huge role that night in Istanbul, or just want to “know how he scored that goal” (or “those goals”, to be more specific), fill your details in below and press the button to send it to us. For more information on John’s show visit 5times.co.uk/london. The competition closes at 1pm UK time on Monday August 1st. To enter the competition answer the question, add your details and hit the button to submit your entry to us. The winner will receive a pair of meet and greet tickets for the 5Times Official Liverpool Former Players Association event in London on August 5th 2016. Competition prize is for two meet and greet tickets for the event stated. Prize does not include travel or any other expenses. A winner will be picked from the correct entries received by the closing time and the editor's decision is final. Entrants agree to be contacted by Anfield Road or its partners from time-to-time on LFC-related matters and understand they can unsubscribe at any time. This form was created inside of Anfield Road.